The Lord welcomed home a Christian servant, Erdean B. Ross, 98, of Masonic Village on November 11, 2017. She was the loving wife of Paul H. Ross for 67 years. Paul was entered into rest on March 20, 2010. Born in Van Ormer, PA, she was formerly a resident of Level Green, PA. Erdean was a member of the Irwin Chapter #400 Order of Eastern Star. She received her Bachelor of Science degree in Public School Music at Juniata College. 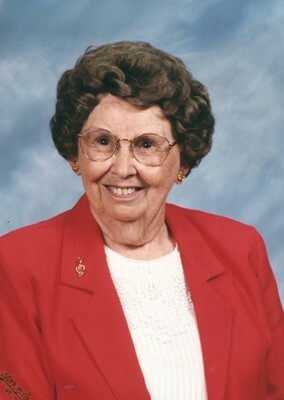 She enjoyed boating, bird watching, sewing, and playing the piano and organ. She is survived by two sons, Reverend Larry E. Ross, wife Gloria, Wayne, New Jersey and Kenneth A. Ross, wife Linda, Lancaster, Pennsylvania, four grandchildren, two great grandsons, one great granddaughter, and a sister, Phyllis Jane Wright, Altoona, Pennsylvania. Services to be held at DeBord-Snyder Funeral Home, 2024 Marietta Avenue, Lancaster on Wednesday, November 15, 2017 at 11:00 a.m. with son, Larry Ross officiating. Friends will be received at the funeral home from 10:00 a.m. to 11:00 a.m. In lieu of flowers, memorial contributions may be made to Bethesda Mission, P.O. Box 3041, Harrisburg, PA 17105. Prayers go out to my cousins and their wives and their, children at this time. Their mother will be remembered for her graciousness. Always had a cheerful smile and listening ear. Thankful for the long life she lived and for being able to share her talent in music with others. She’s in a better place..she’s home.